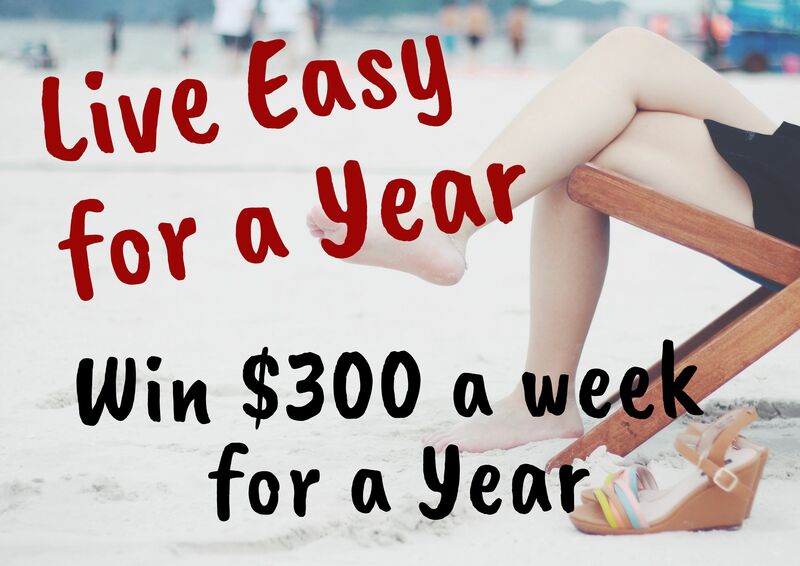 How would you like to Live Easy for a Year? 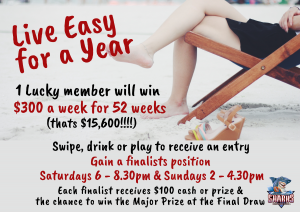 Win $300 a week for 52 weeks – thats $15,600! Simply swipe your members card when you enter the club, buy a drink, play the gaming machines or Keno to receive entries. Then be at the Club during the draw times on Saturdays 6.00-8.30pm and Sundays 2.00 – 4.30pm for your chance to become a finalist. The first draw is Saturday 26 January, and will continue each week until the Grand Final draw. The finalists each week will receive $100 cash, $100 venue voucher or $100 shopping voucher. 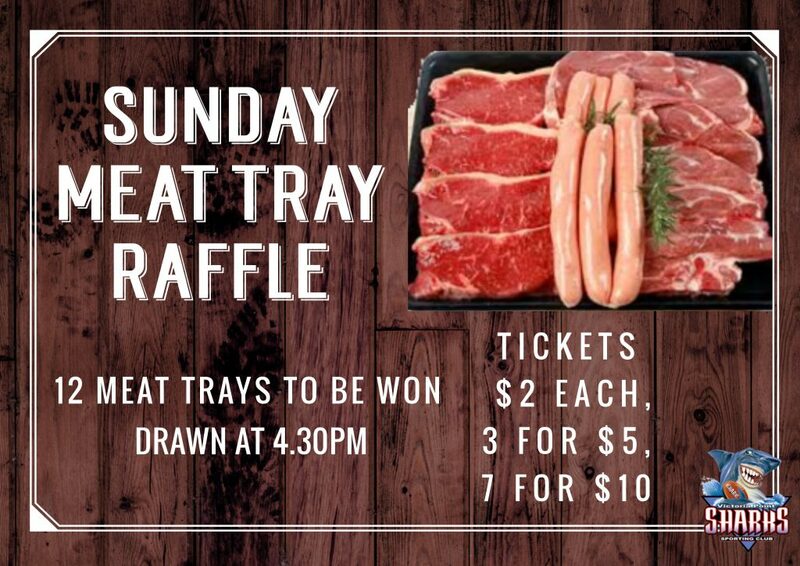 We will then find the very lucky winner at the Grand Final draw on Sunday 28 April. They will win $300 a week for 52 weeks. The more entries you have, the better chances you have of winning, so make sure you swipe your membership card and fill out your tickets each time you visit! This is a members only promotion. Not a member? Its easy to join now for $3 – see our receptionist when you visit. And now the big question is – What would you do with an extra $300 a week?